Birth*: Johanna Cattanach was born on 15 November 1870 at Dunnichen, Angus, Scotland. 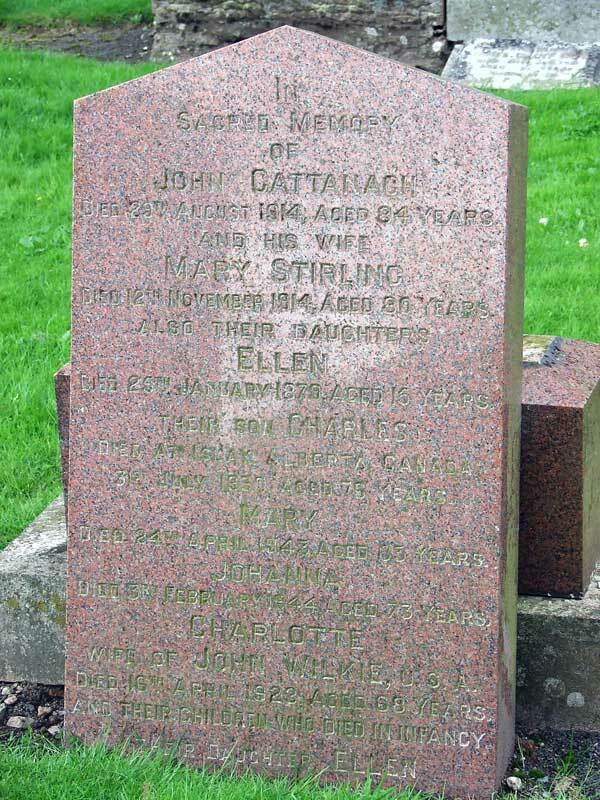 She was the daughter of John Cattanach and Mary Stirling. 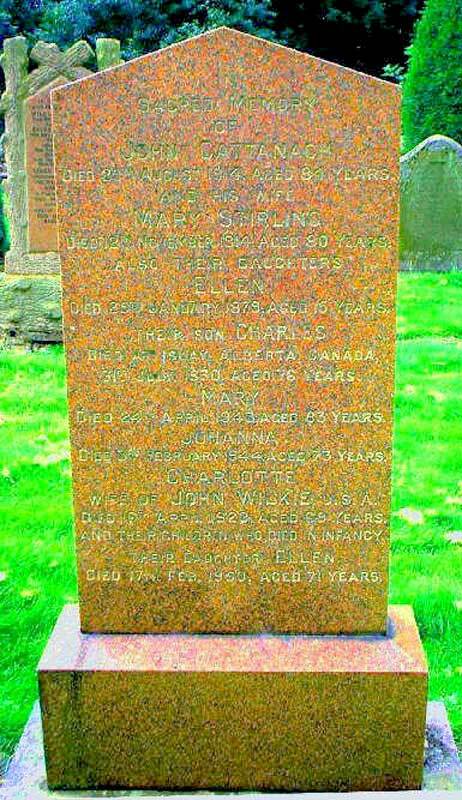 (Deceased) Death*: Johanna Cattanach died on 3 February 1944 at age 73. [S30] LDS 1881 Census FHL film 0203491 GRO ref vol 283 enum dist 2 page 9. [S17] General Record Office for Scotland, online www.scotlandspeople.gov.uk, General Record Office for Scotland (Edinburgh, Scotland), GROS census 1901 283/00 002/00 012 [Oct 2007].